The Nissan Path :: View topic - Towing???? 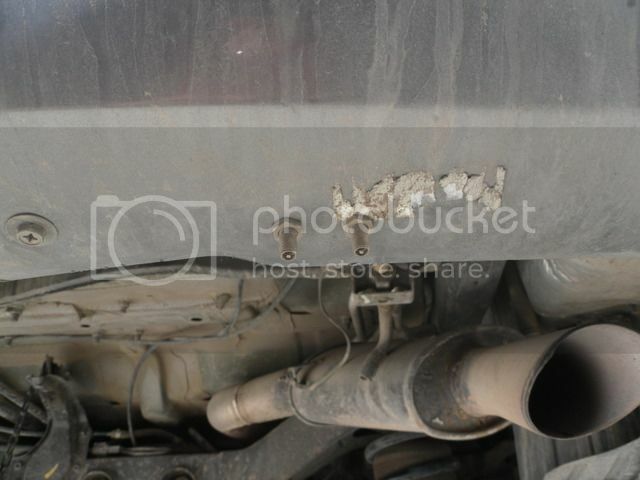 Posted: Sun Aug 02, 2015 12:58 pm Post subject: Towing???? 1) Hit up your local Nissan dealer. They should be able to order you the 7 pin plug for your Pathfinder. Basically you will crawl under the Pathfinder. 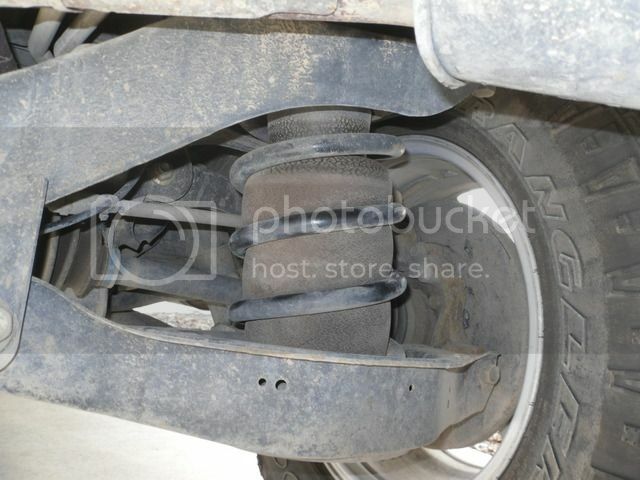 Unbolt the 4 plug from the hitch and unplug it from behind the driver side tire. The new 7 way plug will then just plug in to the 4 way location as well as another plug that is currently not used with your 4 way. It should have a blank plug in it to prevent it from getting too dirty. 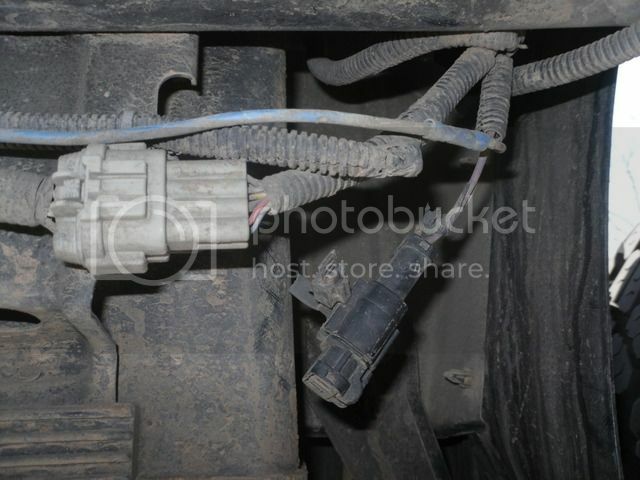 Here's a pic of the 4 way plugged in and the blank when I upgraded my hitch wiring. 2) Go on Amazon and buy the airlift 1000 bags for your rear springs. 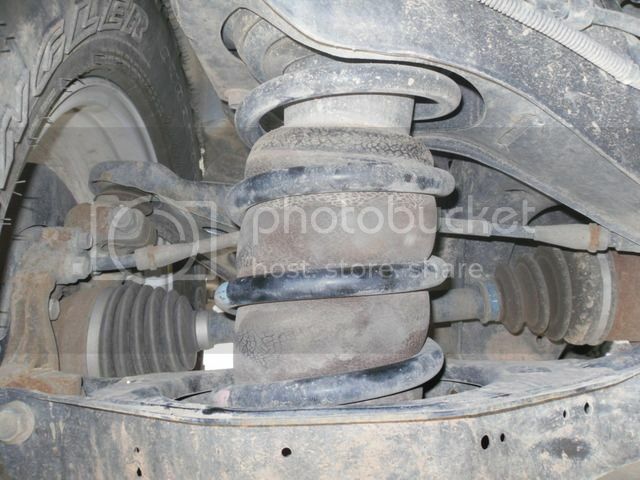 There are tons of threads about adding this to your rear springs since the factory springs are weak and this will help prevent excess sagging in the rear. On a day to day run the bags about 7-10 PSI and then when towing I went to about 15-20. Here's a pic of the air bags. They are red but mine were dirty when this picture was taken as well as the air valves as each bag should be on their own valve. 3) Get a good brake controller. If you have the factory tow package you will have a prewired plug under the dash. Hit up etrailer.com and you can usually but a great brake controller as well as a wiring kit that is plug and play between the brake controller and the factory wire under the dash. 4) You will also need to hit up your local Dealership and buy another relay. Under you hood on the Passenger side is a small relay box that will only hold 3 relays. 2 are for towing and 1 I believe is for a heat control. I don't remember anymore as I've sold my Pathfinder about 2 months ago. More than likely you will only have 1 in there which is the towing relay that only gives you lights no electric brakes. The new relay you will need should be a brown relay if I remember correctly. This relay activates the 7 way plug that you should upgrade too as well as give you electric brakes and your hot wire to the trailer. Make sure you try it at the dealer as the first time I bought mine the dealership gave me the wrong rely. Thanks, volvite. I've had a complete shoulder replacement and my right arm doesn't function properly, so I think I'll take the car to where I bought my trailer. They prepped the Safari, so hopefully they can prep this one. That's too bad about your shoulder. Hope it heals quickly. Taking it somewhere sounds good, however I'd tell you to order the Nissan parts from your dealership's parts department and take it with you to where you have them installed. From my limited experience those trailer places don't use OEM parts and make their own setup which works but does not look factory. Thanks, volvite. The shoulder was done 3 years ago and the movement is pretty good, but strength and endurance is non-existent. It is what it is, I guess. I'll take your tip about the Nissan parts.